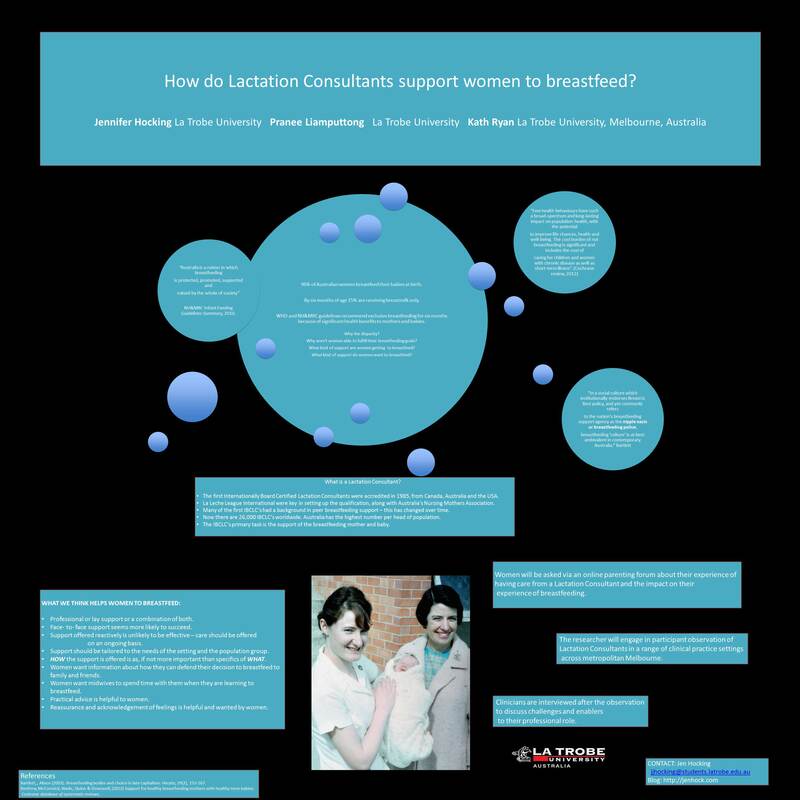 How do Lactation Consultants support women to breastfeed? I had the good fortune this week to attend the International Institute for Qualitative Research’s 2015 conference in Melbourne. Here’s a copy of the poster I displayed about my beginning PhD research. Special thanks for Wade Kelly from Charles Sturt University in Wagga Wagga for running a great session last Sunday on “presenting your research”. I attended. I was inspired by his suggestions. This is what resulted. Not perfect. But sssssooooo much better than what would have been on the wall without his generous sharing of knowledge. Now to tackle haiku deck. Hopefully you can read the text by double clicking on the image to enlarge it … this worked on my desktop at least.